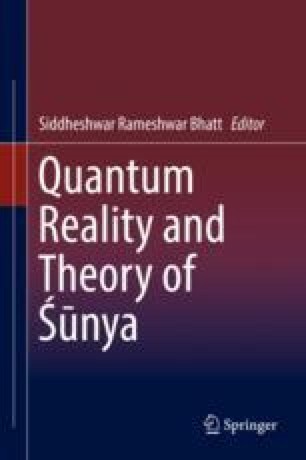 In this paper points of commonality between quantum reality and nature of Śūnya have been discussed. Principles of Max Planck’s constant along with particle-wave duality have been analysed. The problematic issues of quantum physics have been approached through a ready solution in Buddhist theory of catuṣkoṭi. Uncertainty principle propounded by Heisenberg has been discussed in the context of theory of Śūnya. Śūnya has been explained as infinity and fullness. Parallels have also been drawn from Upaniṣads 4.